Back home after a great weekend in Holland/Netherlands! Thanks for all who joined the seminar and a huge thanks to Marieke van Veleow who organised it! My friend Maria Modig and I hold the seminar for one day and there were 24 people who came. It was very interesting as I don’t think I have never seen so many Apricot Poodles at the same time,,, I wish you good luck in the future! As I was there Peter was home with William and Freddie to look after the dogs. They also had to take care of some puppie buyers who wanted to visit and have a look at the dogs and the babies at home. Thanks for all the help! As I was in Holland I had a very sad message regarding my mother who had to go into hospital! We are still not sure what it was but we will know today. She is still in hospital and will stay there for a couple of days. She had a huge surgery in April when we were at PCA and she was very bad from that. They did a surgery on her to open the chest and go into the lunges as they suspected lung cancer. Happily we got to know it wasnt cancer. We will go down to Karlskrona on Thursday to see her and my family. 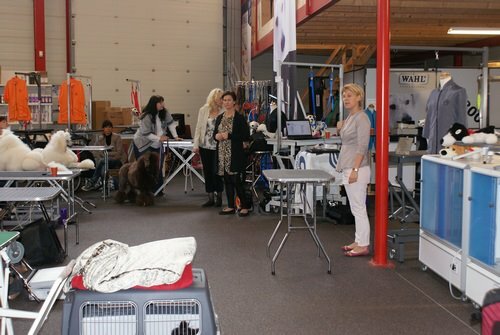 ← Poodle seminar in Netherlands tomorrow!